I’m addicted. To my Instant Pot. To an electric pressure cooker, if that makes sense. I haven’t named her, yet, like most people but I’m clearly addicted to her super powers. I am constantly thinking of what (else) I can make in it. You can clearly see how much fun I’m having here my Instagram photos. Just check all the foods I’ve had in the last week or so. I bet you’re drooling now that you’ve seen all the delicious dishes I made. Some people don’t even cut the squash or sweet potatoes but I didn’t want the skin so I peeled them, then, cut them up for even faster cooking. I already had a huge stash of bone broth I made in Instant Pot (2 hours on HIGH pressure made the most dense gelatinous bone broth!) so that was another time saver. 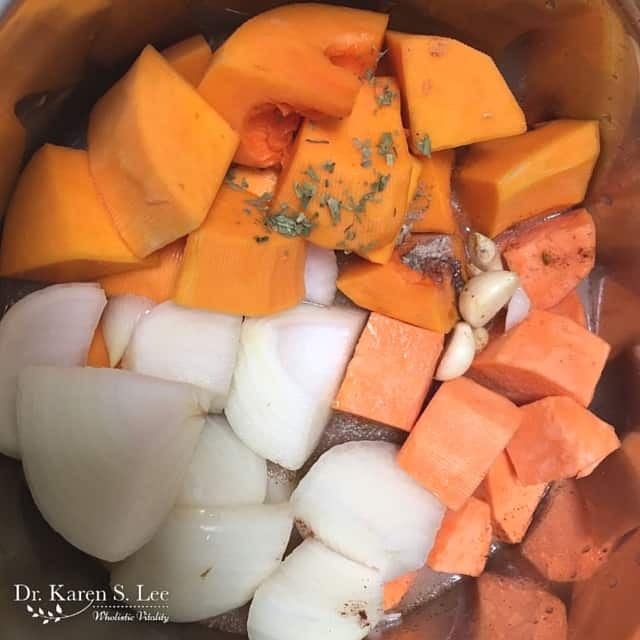 Not only does a pressure cooker method cooks food 1/3 times faster, saves energy, retains moisture and more nutrients, it also eliminates the need for using so many pots and pans. It makes one pot meals so much easier! 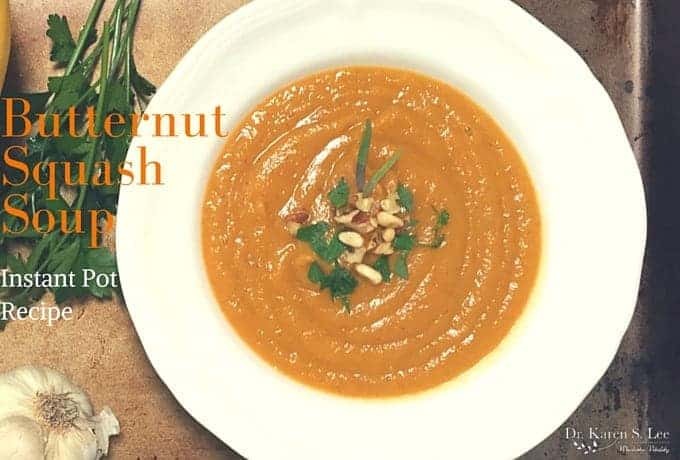 For this Butternut Squash soup, I didn’t bake or steam or boil the squash first to make soup. 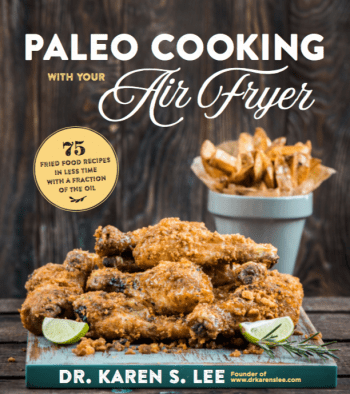 I did everything in the Instant Pot, from beginning ’til the end so clean up was so much easier. I’m all for less pots and pans to clean! Make this quintessential fall soup today and freeze what you don’t finish. You’ll appreciate a quick soup when the weather gets colder. TOOLS: If you are going to peel the butternut squash, you need a strong and sturdy vegetable peeler like the one, pictured above. It’s like no other vegetable peeler I ever had. It’s strong and the entire peeler is made with stainless steel, not just the handle that gets weak after a while. This is by far, the best peeler I’ve had. The set also comes with a shredder which is great for shredding carrots for salads. 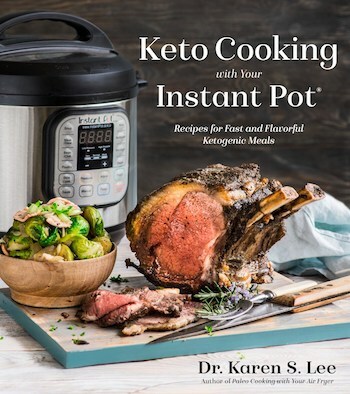 SPECIAL DISCOUNT CODE FOR INSTANT POT: If you are still thinking about the Instant Pot, use my special discount coupon “DRKAREN50” to get $50 or $60 off. I have the Duo60 and it can cook a whole 3 lb chicken! Press "Saute" setting on Instant Pot. When 'HOT" appears on the screen, add coconut oil, onions, ginger, garlic and pinch of salt. Sauté until onion is a bit soft. Close the lid tightly, make sure the vent release valve is on "CLOSE". Press "MANUAL" and set the timer to 10 minutes. When the timer goes off, pressure release naturally. When it's completely depressurized, open the lid carefully. If you have an immersion blender, pureé, right in the pot. If you DON'T have an immersion blender, transfer the soup to a food processor or a blender and pureé. 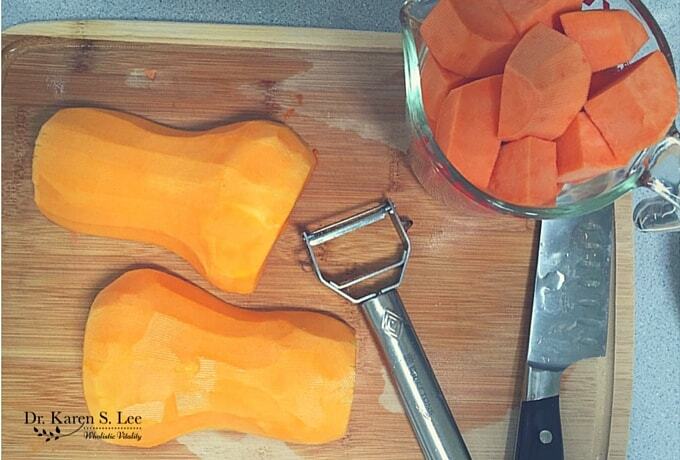 Be careful with hot soup when using the food processor or blender.